As everyone who creates a website or a blog is always in a trauma that how can their blog make money. When they came to know about adsense then still many of you were unable to qualify the eligibility criteria for Adsense approval. 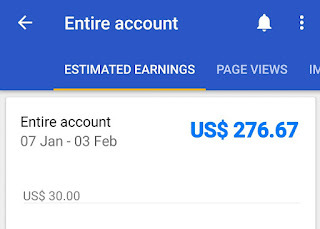 If somehow by hard work you got an Adsense approval, then the main problem is to how to complete the threshold of $100 as I know many of the bloggers don't even get $0.01 in a day. The main problem to not to get any money in your account is that you have no views / visitors in your website. Here I will explain you the best methods which I personally use in my websites and blogs and yes these methods really works and I too get thousands of views daily. I will also attach some screenshots of my personal adsense accounts as well of google Analytics account live Real time visitors. 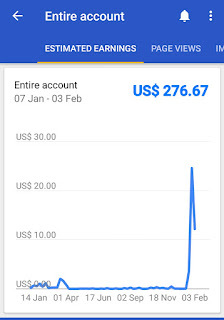 See, if your question is that how to make the most of money from Google Adsense program then it means you already earning a lot of money through it and you need to expand your earnings more. But if you are not getting any money from adsense then the I will solve your problem in slightly different way. I will discuss here the methods by which you surely starts earning $5-$10 daily just from your single blog. You should read this all only then you get something from my experience. The hardest problem in your blogging career is to get an Adsense approval for your blog. As you know the adsense criteria is so tough to clear and even when you think that you have done everything then after also it gets rejected. There are some of the basic things which you should done in your blog before submitting to Google Adsense on which I have written a complete article. Write at least 15 articles. At least 2 articles should have mote than 1500 words. Give an about us page. If you have done these things then definitely you will get approved by Adsense. Now after your website gets approved and it started showing ads your main aim should be to earn dollars anyhow as you did a lot of efforts for your website. 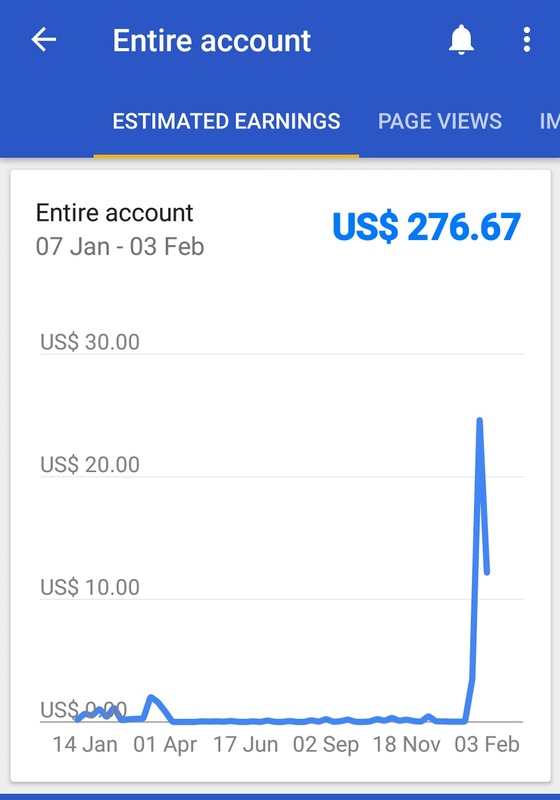 Now I am going to explain the working methods to start generating money from adsense. 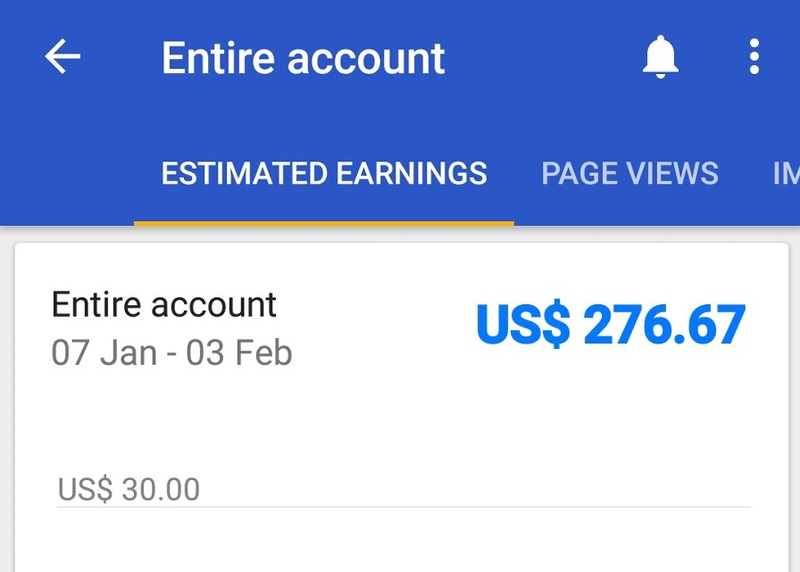 This is the screenshot of my personal Adsense account. Google adsense is a pay per click program in which you will get paidd if your websites provides clicks on advertisements that are displayed on its pages. In order to get some clicks you should need visitors to your site. One thing always keep in mind that if you started clicking the ads on your website then google sends you warnings sometime and then finally disabled your account. It also pays for the impressions of the ads on the pages i.e. if the ads only came on the screen and it will not clicked then also you will be paid but its just for name. I think if you get approx 10000 impressions then you may get 0.1 dollars. So it is not the point of concern. Now our main aim is to get the visitors to your website so that you started getting a huge number of views and thus get a huge number of clicks on ads and correspondingly start making dollars in your account. So now I will tell you my personal top methods to get a huge number of views/visitors to your blog. Whatever I am going to tell you here is well applied and tested by me on my one of the blogs and currently I am getting approx 50k to 70 k visitors to that blog daily and it gives me about 15-20 dollars daily. So trust me just follow these steps and you will get a good result. Many people says that you should create a huge number of backlinks in order to get visitors to your website. But here I am going to tell you slightly different thing. You should not wander here and there on the internet to create backinks for your website but you just have to find only maximum 5 sources from which you can get a number of views. For example I am going to tell you one of the most efficiently working methods top get visitors for any website is QUORA. How to get visitors from quora?? You just keep in mind that you have to create quality content on your website and thats only is the everything for your website. Now when you publish an article on your blog then after publishing the article you instantly visit quora and follow these steps. visit quora official website or app. Now search some question which have exactly the keywords which matches with the title of your article. You can also cosider the questions which had the relevant meaning related to your article. Now find such questions which has at least be followed by 500 people. Now copy and paste some of the part of your article content to the quora answer. And finally write something like "continue reading" and attach it with link of your article. Now you instantly started getting huge number of traffic. When your aarticle starts getting views then automatically within somedays it will rank on google. When it ranks on google search results then you will definitely gets a very huge number of views daily. But keep one thing in mind that do not put garbage like articles on quora as quora is a very respectfull place to get everyone's problem solved.